This week is all about furcation involvement and cortical plate loss. 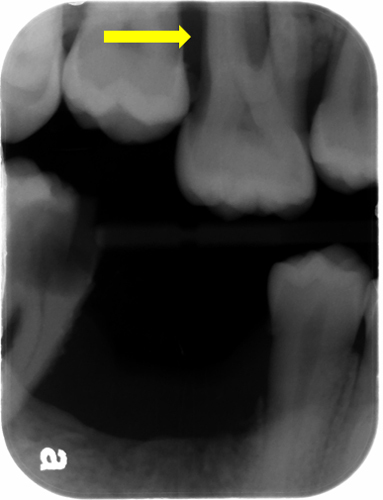 I will not be classifying the different classes of furcation involvement just how it appears on radiographs. Furcation involvement is much easier to identify in the mandible due to the splayed nature of the mesial and distal roots. 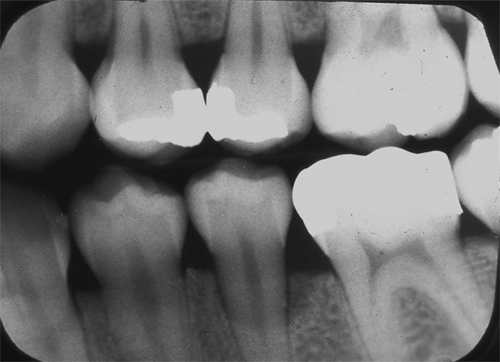 Once again, bitewing radiographs are the first place to evaluate. 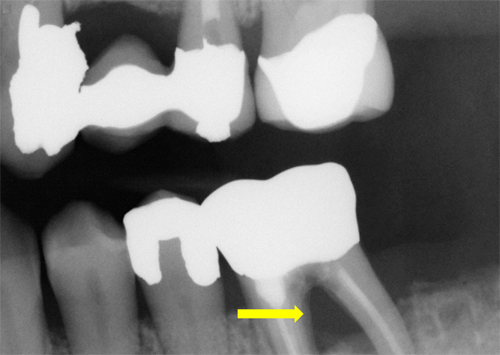 In the mandible furcation involvement is seen as a radiolucent triangle in the area of the furcation with no bone evident. The maxilla is a little trickier as the palatal root is between the mesial and distal roots making bone loss not always as evident. When evaluating the maxilla look closely at the level of the bone in relation to the furcation. If the bone is apical to the furcation, there is furcation involvement. Cortical plate loss occurs when either the facial or the lingual cortical plate is more apical to the opposite cortical plate. 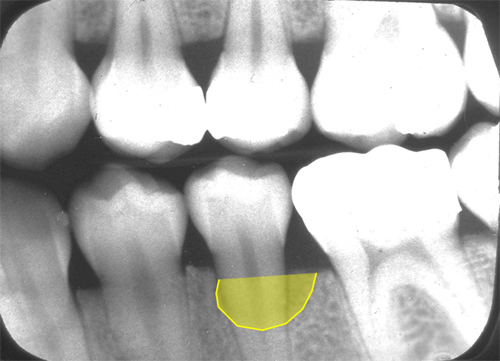 This appears as a more radiolucent area of bone near the crest of the alveolar ridge. If you have any comments or questions, please leave them below. Thanks and enjoy. I have a hard time telling the difference between your example of cortical bone loss here and your example of vertical bone loss (on a separate post). To me it looks like your example of vertical bone loss could be called cortical bone loss (meaning they look the same to me).